Experience the history of the Philippines through a round of day or night golf located right in the heart of Manila. 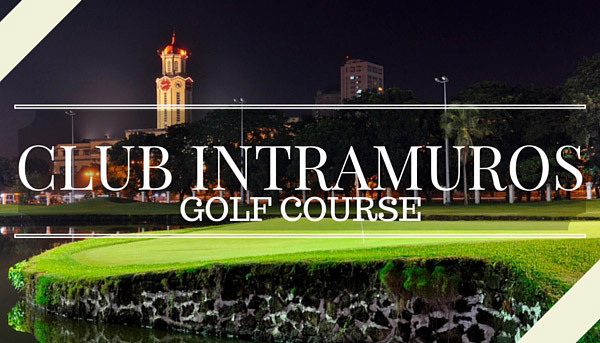 Club Intramuros is a par-66 course, constructed in 1907 and a real test of your short game with a myriad of hazards, water, narrow fairways, and a challenge at nearly every hole. Don’t feel like you need to use your whole day to finish a round (the typical time frame is 2+ hours), but make sure to planning accordingly with beating Philippines sun. After your round of golf, rest and shower up in the clubhouse before take ing a short walk to the Intramuros tourist areas that border this course. There are practice areas, putting greens, a driving range, equipment rental, a restaurant and a music lounge. Watch out because this course can get really busy. They don’t usually take tee time reservations, but if you book through GolfPackages.PH, you will insure a guaranteed tee time reservation and a discount of green fees. Contact us today. – Located in the heart of Manila, very accessible. 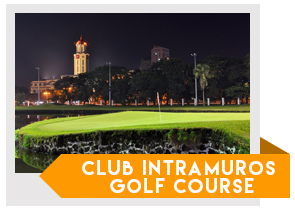 – Play golf in the historic walled city of Intramuros. One of Manila’s top tourist destinations. – Completely renovated and designed by the renowned golf architect, Andy Dye in 1995. – The Only course in Manila to offer Night Golf. 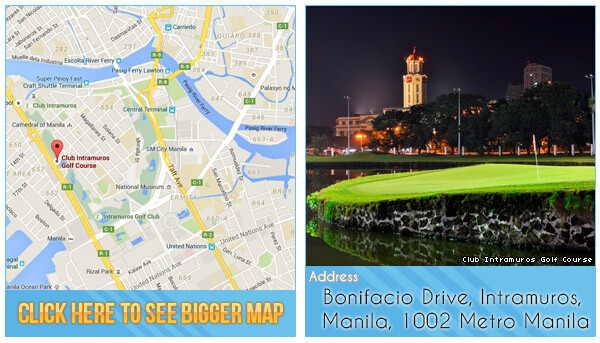 Tip for Tourists: Play at Club Intramuros Golf Course with reserved tee time slot by booking directly with GolfPackages. Fill out the form to your right and get your free quote today.